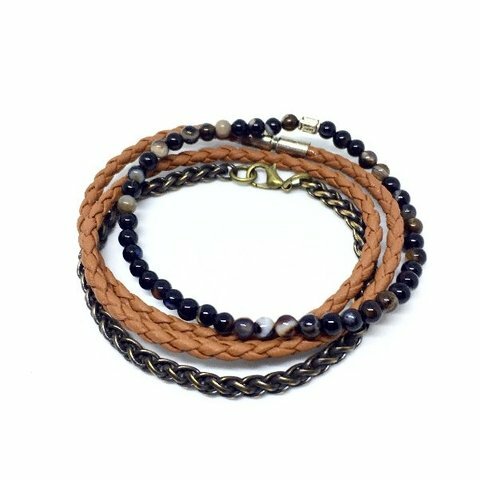 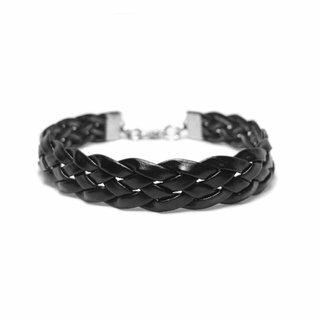 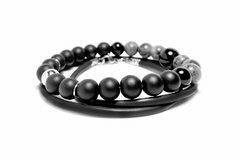 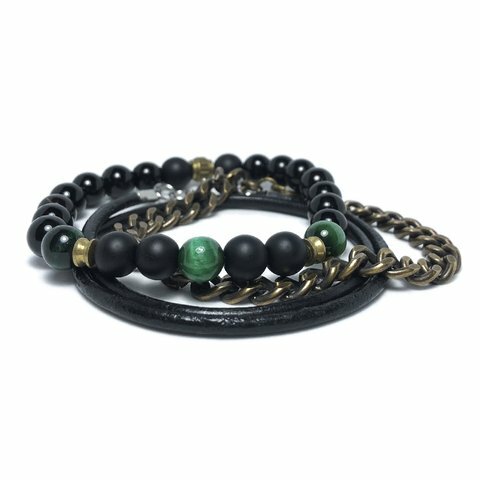 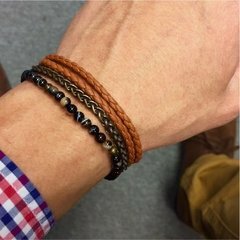 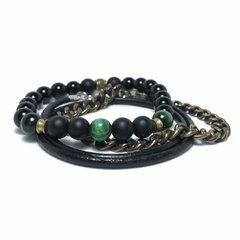 Pack of 3 Black bracelets. 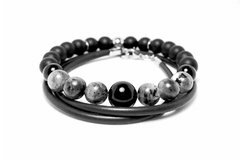 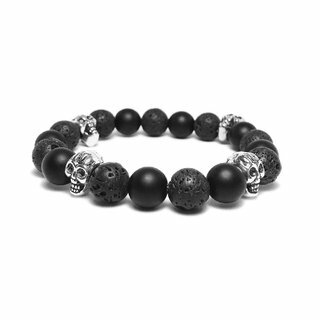 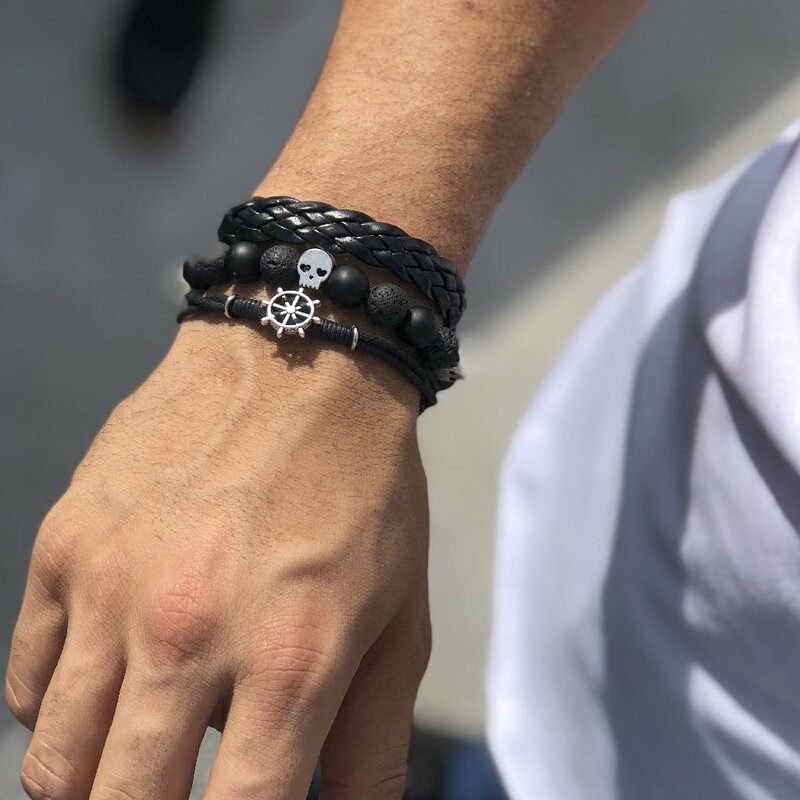 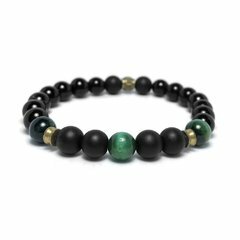 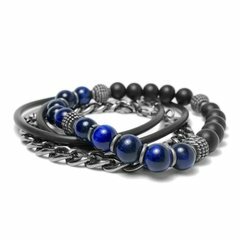 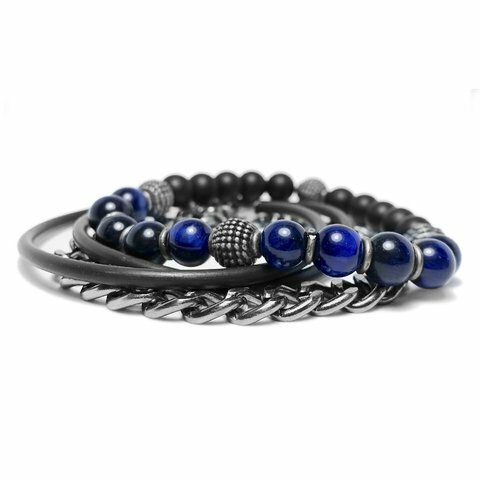 _ Bracelet in 1mm resistant elastic with onyx and volcanic rocks of 10mm, combined with silver colored cast-iron skulls. 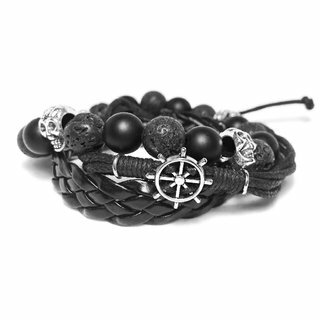 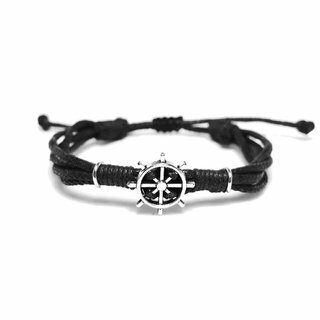 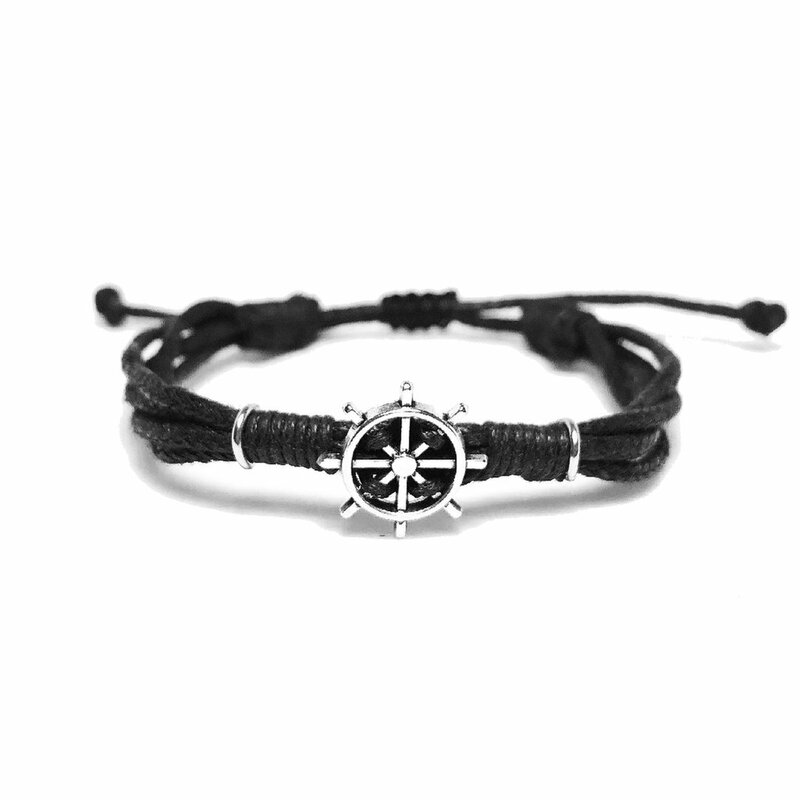 _ Adjustable bracelet in black waxed thread, combined with a cast metal rudder and details in antiallergic steel rings. _ Braided ecological leather bracelet.